With the Premier League taking a break for the weekend for FA Cup Round 4 matches, week 21 will take place with Tuesday and Wednesday matches following the weekend. With all of the Premier League teams participating, it is yet another quick turnaround between matches for everyone. With Arsenal’s win in week 20 coupled with a Leicester draw, gives the Gunners pole position in claiming a first Premier League title in over a decade. The draw for Leicester City does give them their target 40 points for the season, as well as giving them a great chance at a top four finish, or, at the very least, a finish in the European places. 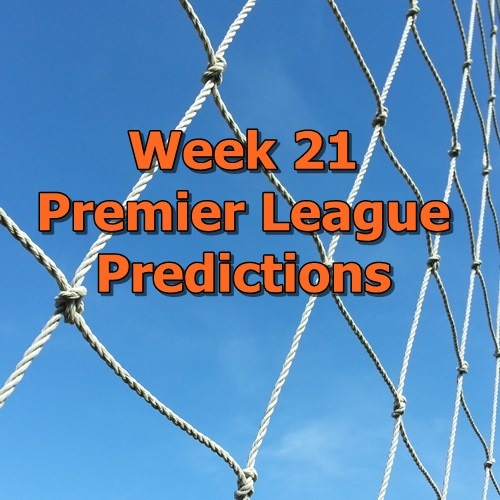 The way that this season has been going making predictions for week 21 is something of a challenge. Form has meant very little this year for many teams. The lack of consistency has made it hard to figure out good FPL matchups and stacks from week to week. I suppose there are a few teams that can be counted on, particularly when picking players facing Aston Villa or Sunderland. These are two teams that seem doomed to relegation. At this point it does look like an impossible task with only 8 points from the 20 matches to date. With Leicester’s recent lack of goals it’s difficult to continue sticking with the likes of Riyad Mahrez and Jaime Vardy, especially going up against Tottenham Hotspur at White Hart Lane. Arsenal travelling to Liverpool will also be a tricky one for them. It’s difficult to say just how the FA Cup weekend will be affecting these teams. It could just as easily tire out teams as much as bolster their season depending on the outcome. There are also many teams that will forego putting out a strong team in order to be able to focus on the Premier League while others will see this as a chance for silverware. Before setting up your fantasy Premier League teams or prepping for DFS, be sure to check out the FA Cup scores and lineups to see what the Premier League teams have done prior to week 21. Be sure to add me on Twitter and get involved there and on the site. Good luck and have fun!